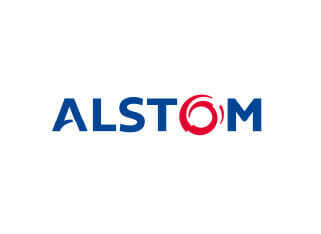 Alstom Power, in Switzerland, is one of the worldwide leaders in power generation and for more than 100 years has offered technical solutions to meet the increasing demand for electricity. The power station includes the rotors factory, a test station, research and development laboratories and a reconditioning centre. The in-house test power station is equipped with two dual fuel gas turbines, GT26 and GT8C2, which enables Alstom to test the power station components under field conditions and to optimise the products. The gas turbine at the test power station has an output of up to 500 megawatt. The necessary cooling of the air intake for the turbine part of the gas turbine is achieved by a water steam circuit. The silica content (SiO2 ) must not be higher than 20 ppb, otherwise deposits could form and cause damage to the sensitive heat exchanger. For this purpose, the in-plant water treatment plant produces ultrapure water. When the water treatment plant needed to be modernised Alstom ordered a Veolia mobile water treatment plant for five weeks. This temporary solution had to support two tanks with 1,700 m3volume each with a constant supply of demineralised water. Two days later Veolia from the UK and Netherlands arrived on site. A MORO-C24 container with Reverse Osmosis pretreatment and a MODI- 15000 trailer with a mixed media polisher and a pressure booster station with 100 m3/h 6bar were supplied. The MORO system removed around 98% of the feed water impurities and contamination. And the MODI with its ion exchangers then demineralised the water to achieve the desired quality. There is no need to regenerate the ion exchange resin of the mixed-bed polisher on-site. After the resin was exhausted Veolia replaced the MODI truck with an identical and freshly regenerated one with up to 60 tonnes of resin being regenerated per day. The rapid response action from Veolia is due to its wide range of mobile solutions across Europe.